There’s not a day that goes by that I don’t weep bitter tears over the demise of the Crummy Church Signs blog. 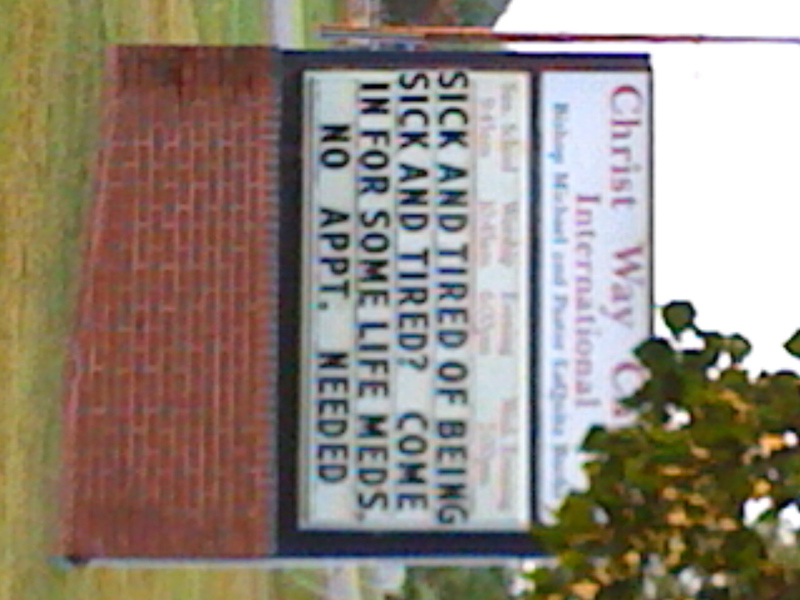 The guy who ran that thing gave voice to a truth that I’ve always known: church signs are a bad idea. Giving a church a marquee is like giving a dingo a baby…eventually, something’s going to go horribly wrong. Posted In: General Ranting, Say What? You know bro’? It’s a good thing you come home to Tennessee every now and then ’cause you might just run out of things to write about! lol! That last one made me hungry. Ya’ know Danny. 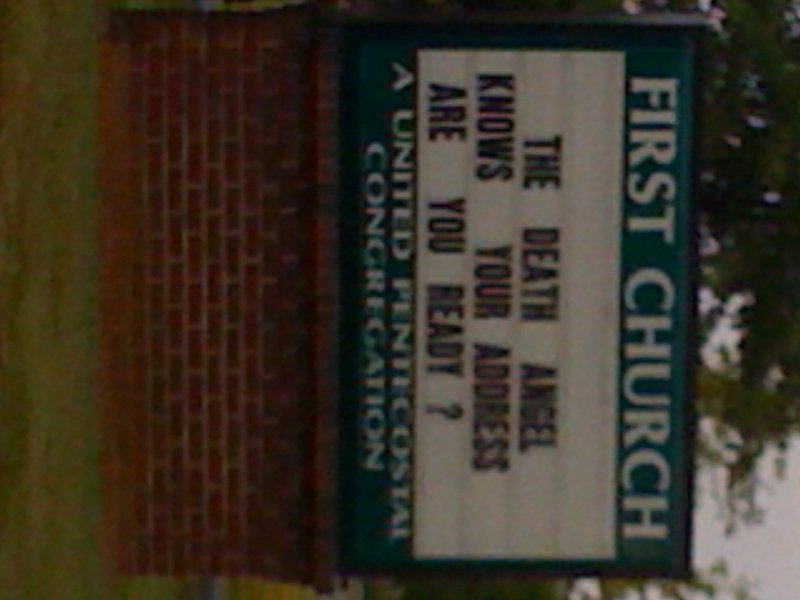 I completely agree with you on the stupidity of church signs, but I really can’t help but laugh at nearly all of them. That is, if I’m not crying because of the ridiculous impression they leave on the rest of the community. At least they spelled YOU’RE correctly. Otherwise, the twitch in my eye would’ve taken over. 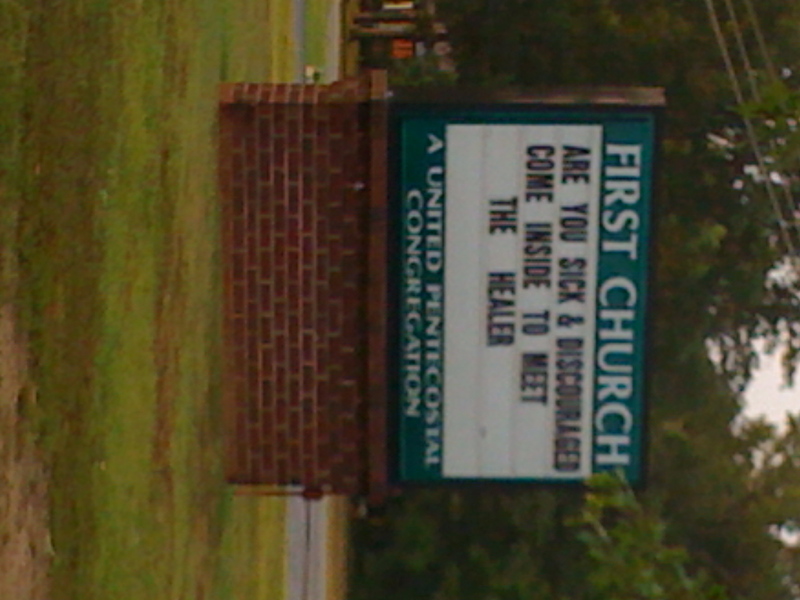 I was a contributor to the Crummy Church Signs blog and also miss it. I was doing a search and stumbled on your site. 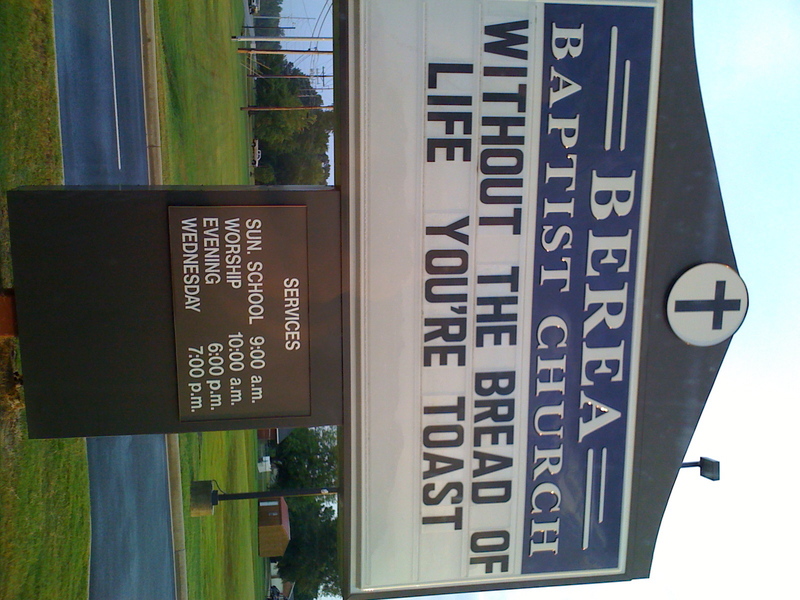 I found the “Without the bread of life you’re toast” to be particularly cheesy. Thanks for keeping the tradition going! It seems I’m pretty predictable.